When the time comes to sit down and discuss the move with one or more children, it is important to be prepared to answer their questions. Parents should be clear that the move is not optional, yet also remain sensitive to the upheaval that each child will face. Depending on the age of each child, friends and social activities may play a central role in their lives. 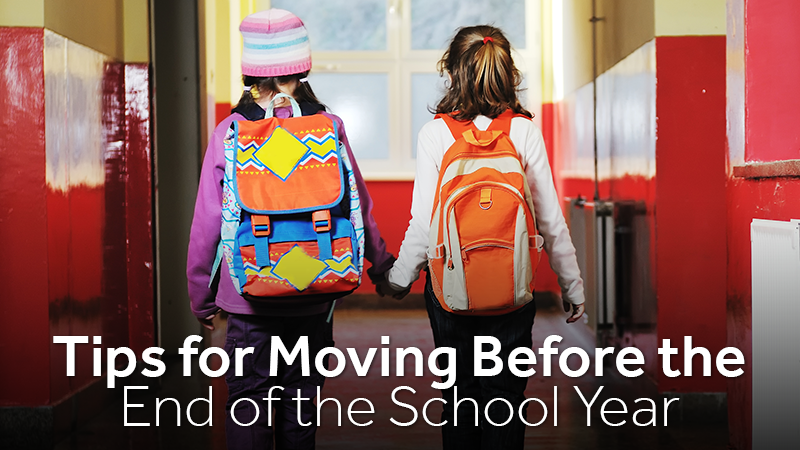 It is hard to leave those connections, and many kids approach a middle-of-the-year move with dread. While the kids may not be ready to listen to the positive aspects of a move right away, it is still important to highlight the things about the change that will be for the better. Talk about the new town, the new house and the new neighborhood. If possible, schedule a visit to the new area, so that the kids can see for themselves where they will be living and going to school. If a visit is not possible, go online with your kids and show them information about their new school and the activities they will be able to choose from once they settle in. When possible, including a child in the process of selecting a new home and neighborhood can help them to accept the changes that will follow the move. Have them make a "wish list" of things they would like to have in their new house and then encourage them to look at properties with you to find just the right fit. There are plenty of lessons to be learned through the house-hunting process. Best of all, kids will often become excited about moving to a home that they helped to select. Even very young children can help with the move. Engage the kids in packing up their things, labeling boxes and deciding if anything in their rooms can be donated to someone in need. Kids can also take photos of their room, backyard or other areas of the house so that they will always remember that time in their lives. On moving day, keep the kids engaged in helpful chores, whether it is carrying boxes, organizing their new room or sweeping up behind the movers. At Zippy Shell West Houston, we offer different tools to help make your move easier, including storage options. Come by or call us today to learn more and to receive a quote on any of our services. We beat competitors’ prices by 20%!